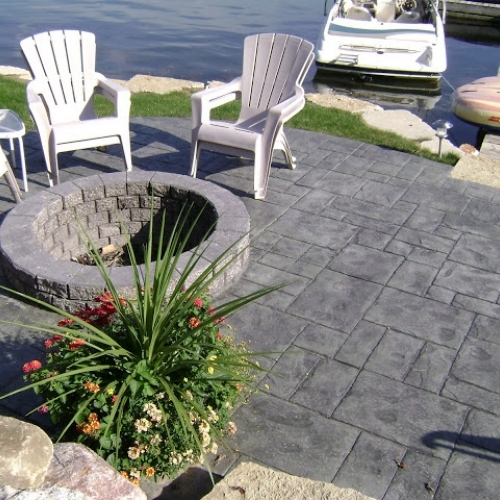 You can definitely improve your property by adding a stamped concrete patio to your home in Brighton, MI. 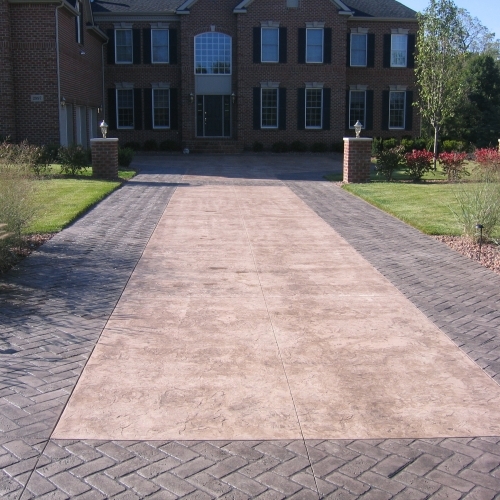 This material can also be an excellent option for walkways, driveways and pool decks. Our team has years of experience working on these types of projects and we make sure to only use the best products available in the industry. We hold ourselves to high quality standards and always focus on making sure our customers are completely satisfied. Request a quote from us online if you already have a decent idea of how you want us to install stamped concrete at your location. Feel free to call us if you would like to discuss your options further with one of our dedicated staff members. 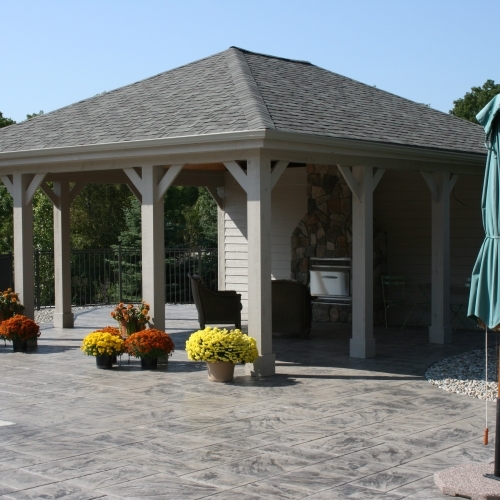 Browse through some of the photos below to get a better sense what we have been doing for homes in Michigan for decades. We are always looking forward to working with new customers. Important Note: Melting salts can damage concrete. Sand is the best option for your walking areas. He was quick to understand what we were looking for and did a great job creating a plan for us to work with right on the spot. With the original plan we were able to make a few changes with the plants. Once this was done there was a 3D rendering created so we had clear idea of the entire project. Matt stayed in contact all through the project. Once the work started every step was well executed. The crews did an excellent job from the demo,stamped concrete to the landscape installers. We are pleased we chose Todd's. Thanks to all involved." Helped us make sure we designed it right. 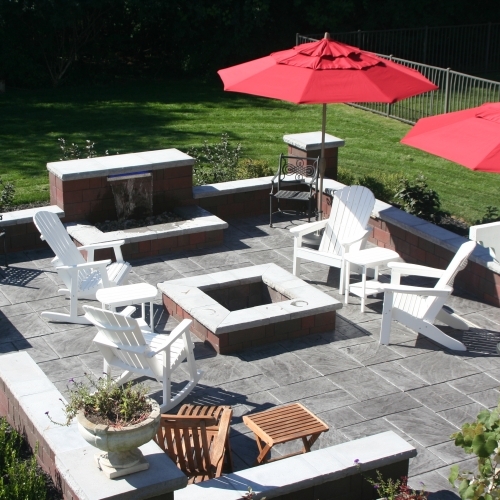 We love our stamped concrete. Planningon doing another job next summer and he will be getting my call." The work was largely done in one day with just the cuts and power washing done thenext day. It was all done in time to look great for our son's graduation party. 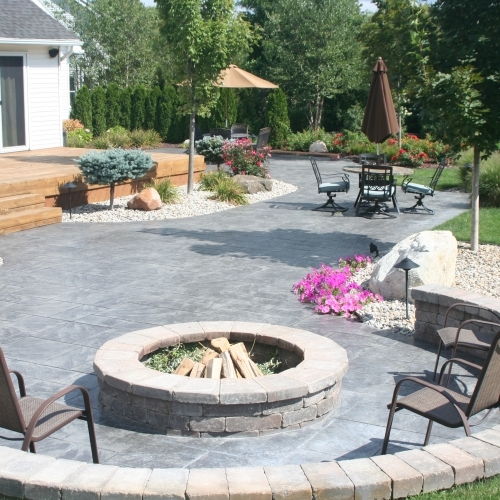 What a wonderful summer of dinner's and relaxing evenings around our fire pit."